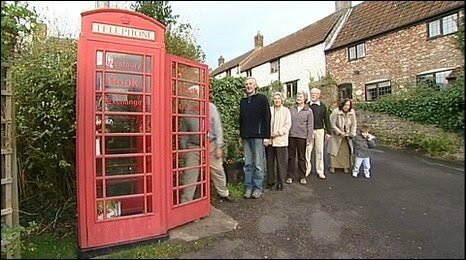 Treehugger posted this little gem today on their website about a town in the UK called Westbury-sub-Mendip, which was about to lose its last remaining classic red telephone booth. So what do the citizens do to save this historic (be it very small) structure? They turn it into a book exchange. The concept is a simple as it comes. You bring a book that you’ve read and exchange it for one you haven’t yet read. The honesty system applies. This fantastic idea both reuses the old booth, but also encourages the reuse of books. Nothing wasted here.